Check the Rage 2 system requirements. Can I Run it? Test your specs and rate your gaming PC. System requirements Lab runs millions of PC requirements tests on over 6,000 games a month. Bethesda recently announced that Rage 2 will arrive sometime in 2019, most likely in spring. 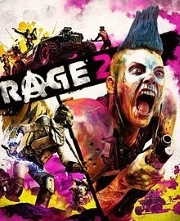 Rage 2 is the sequel to the post-apocalyptic shooter from 2011 and will be set in a massive open-world this time around. Rage 2 will feature even more exciting vehicle combat, awesome new guns, and a ton of ridiculous characters to meet.